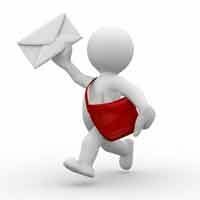 We always get lots of responses and questions from readers, both newsletter subscribers and on Facebook. “Can I utilize ATM cards in Costa Rica? 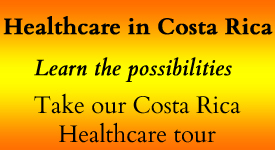 If I apply for resident status do I have to have my SS checks deposited in Costa Rica bank? Do they have an affiliate banks in Costa Rica where you would not incur an ATM fee? If not, what is the fee your bank charges per ATM transaction? Do they also charge a foreign transaction fee? 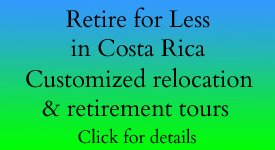 Do you need to notify anyone at your bank that you will be traveling to Costa Rica for a specified amount of time? If you apply for residency, you can either have your Social Security deposited into one of the banks here in CR, or you can have it deposited into a U.S. bank. Since Paul’s Social Security check is deposited in our U.S. bank account at Bank of America, we wanted to find a less expensive way of getting cash here in Costa Rica. For foreign ATMs, Bank of America charges $5 for each transaction, then the local banks charge about $3 per transaction. That got to be expensive! So, here’s what we do: We opened up savings accounts at Coopenae, both in dollars and colones. Whenever we need to replenish our cash, we write a check for several thousand dollars to Coopenae from our U.S. bank. It takes at least 30 days to clear, so we make sure we have enough cash on-hand to cover our expenses during that period. When the cash arrives into my dollar account, we transfer about $1,000 at a time into our colones account. That way, we are getting the current rate of exchange instead of converting the entire amount into colones. The only limitation is that you need to be a legal resident before you can open a regular savings account in Costa Rica, though you can open a CD investment account with just your passport. “Thanks for your newsletter. I am planning to move to CR this summer. The rules of engagement seemed to have changed as far as visitors traveling without visas. How long can I visit/stay before I have to apply for residency? Do you have any recommendations for attorneys who can help me apply? Hi Alma! We’re glad you are finding our newsletter helpful. The rules about tourist visas themselves haven’t changed. With a valid passport from most countries, including the U.S. and Canada, you can usually stay for 90 days. What has changed is the enforcement. We know people who live here as “perpetual tourists,” who for one reason or another have never applied for legal residency. They leave the country every 90 days and then return to revalidate their stay as tourists for another 90 days. Immigration is enforcing the 90 day rule more stringently in efforts to crack down on perpetual tourists. However, it depends on who you get at immigration when you arrive. We know one couple who were given less than 90 days — in fact, he was given 90 days and she was only given 60 days. So, there are no guarantees when you arrive as a tourist. We applied for residency even before we moved to CR. We figured that the money we saved not having to leave the country every 90 days more than made up for what it cost us to get legal residency. 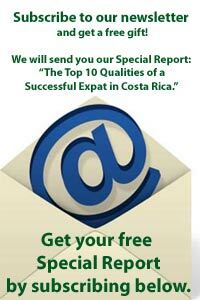 We used “Residency in Costa Rica” and were so pleased that we recommend them on our website. Javier will even give a discount to folks who come through our website. He is based in LA and his sister is based in San Jose, CR. You can contact him through the above link and ask any questions you may have about residency and the costs involved.